A startup is a newly established business. Today, many people aspire to start their own business, leaving the traditional 9 to 5 job. They are either bored of existing job or they want to earn more money. Whatever be the case if you are one of them and planning to start a new business by firing your boss. 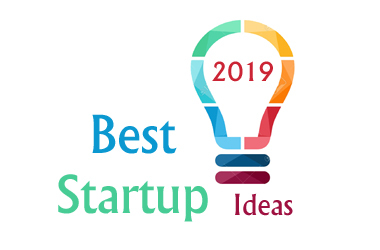 Here are 15 Best Startup Ideas for 2019. You should select two-three best startup ideas and discuss, debate with your family and friends. Pick up a fresh idea with very good market potential. Make sure startup idea match with your skills and you have sufficient funds to start a business. So, let’s get started. A first startup idea for 2019 is a food container startup. A food container concept is growing at a faster pace. It is one of the untapped business that you can think of starting. In food truck business, you need to buy a container or modify old transport vehicle as per requirement. Make sure that food truck looks attractive. You can use attractive colors and paintings. You can also make an arrangement of chairs nearby container. You can place your container nearby office area or at a crowded place. Make sure to serve tasty and healthy food at an economical price. Cybersecurity Startup is among one of the best startup ideas. Every small and big business requires IT security system. The main reason is the increase in technology usage and cyber-attacks. If you are an expert in cyber security you can establish cybersecurity business. In this business, you need to provide security services to companies. The services are like consultancy, security auditing, certification, managed detection & response, security incident event management & security product sell etc. It is a very good business and a chance of getting success is very high. IoT startup is lucrative startup ideas. A full form of IoT is an Internet of Things. Usage of the Internet of Things is growing. Every device is becoming smart and connected. If you are expert in IT domain you can start IoT startup. In this business, you need to work on assignments such as converting unconnected devices to connected devices, convert data in a meaningful format, design your own IoT product etc. E-commerce is internet based startup ideas. Usage of the internet is growing, people prefer to purchase a product online compared to offline. It gives birth to the e-commerce business. There are multiple ways to do e-commerce business. One simple way is to start own e-commerce store. A second way is to buy an e-commerce store from the website like “Shopify”. E-commerce is a lucrative business option. FinTech Startup means startup that uses technology and software for providing banking and financial services. It is one of the fastest growing business. In this business, you can provide services like mobile payments, instant money transfer, instant loans, P2P, asset management. You can design your own innovative products in this area. Home Décor is evergreen startup business idea. A usage of luxury home items is growing rapidly. In this business, you can sell luxury items for home décor. You can even provide services for home decoration and designing. It is advisable to do a specific training course before starting this course. The investment required for this business is moderate. Fidget toys are self-regulation tools. The craze of fidget toys like spinner is growing exponentially. If you have expertise in designing or manufacturing such toys, you can start this business. If you don’t have expertise in manufacturing, you can do trading in fidget toys. It was very difficult to start TV channel earlier. However, with growing usage of technology, it is very easy to start own TV channel. It is one of the most profitable startup business ideas. If you have a small budget then you can start your channel in a small demographic area. Once the channel is popular you can go for expansion. Tea Café is low cost and one of the best startup ideas. Tea is one of the most popular drink after water. A business of tea café can be started with low investment and with less skill. Even uneducated person can start this business. You just need to create a place with a good ambiance and serve tea with different taste and style. Electronic Waste Management & Recycling is one of the fastest growing startup ideas. Usage of mobile phone, laptops and other electronic devices are growing. All these devices require disposal once it reaches the end of life. If you learn to dispose or recycle these devices you can rule the market. It is one of the lucrative business ideas. A demand of the organic product is growing like anything. It gives birth to organic farming. Organic farming means growing fruit, vegetable, and crops in an organic (natural) way. These types of food are used for making various products and food-related items. If you have an inclination towards farming you can start organic farming. Tutoring means sharing your knowledge by teaching others. Online tutoring can be done in multiple ways. You can either start your own online tutoring website or you can even start your own Youtube Channel. You need to be an expert in teaching subjects to start this business. Obesity is growing rapidly all over the world. It is mainly due to a static lifestyle and food habits. This has certainly raised a demand for a lot of fitness centres. If this field interests you, then you can start your own fitness centre. It is recommended to design a unique course or activity which no other centre is providing. Keto Food startup is related to obesity. Millions of people are adopting Keto Diet to reduce their weight. In this business, you can make your own Keto food or plan to trade in Keto food by opening your own shop. Medicare Startup is one of the best startup ideas. If you are from the medical background you can start own business around this field. Few suggested options are providing Medicare services at home, sample collection services, selling unique service or product related to medical. All these ideas are selected based on the latest trends and market potential. I am sure that 15 Best Startup Business Ideas will surely help you in getting success. The list given above contains both online and offline business ideas. You should select a startup idea based on your skillset and capabilities. If you need any guidance or more information about the best startup ideas feel free to contact us.